Salvis CucinaEVO is the evolution in kitchen technology. The market for out-of-home catering constantly demands with new concepts for innovative solutions - even in small rooms. 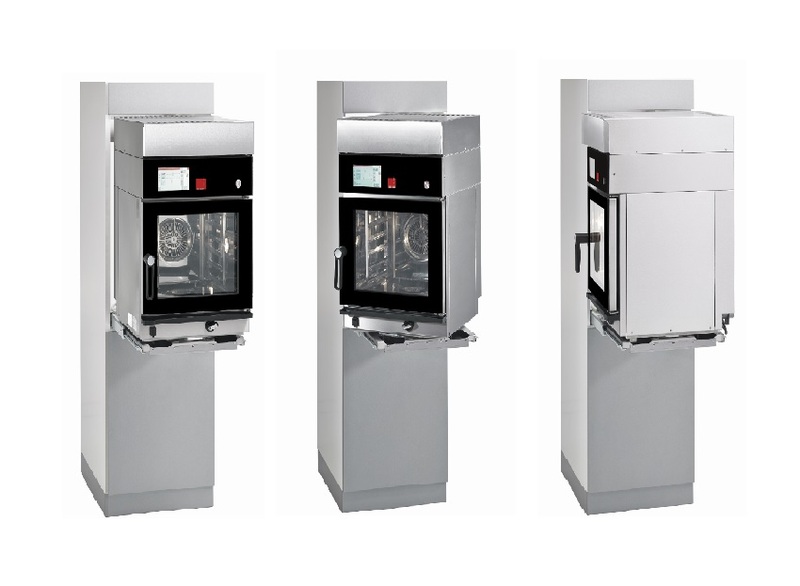 NEW is the clever built-in installation solution for Salvis Combi-Steamer CucinaEVO 623T. Oftringen, 22.3.2018. With a width of only 55cm the Salvis Combi-Steamer CucinaEVO 623T is one of the smallest professional Combi-Steamers on the market. Convincing are the very easy touch control and the fully automatic cleaning system. The basic functions in the "Easy" control variant are suitable for simple preparation kitchens or small dishes. The "Pro" control variant with pre-programmed recipes also covers higher demands for freshly prepared dishes. The clever installation solution for Salvis CucinaEVO 623T is now available for perfect integration with elegant design for your office kitchen, communal kitchens, kindergartens and schools, kitchens in residential groups of nursing homes and kitchens in retirement homes. Salvis AG stands for innovative and high-quality thermal cooking systems for professional kitchens. With their 100 years of experience, the Salvis is a proven and reliable partner of the commercial trade.